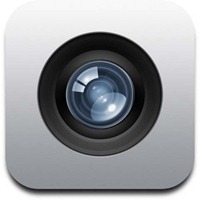 iPhone 5 To Sport 8 Megapixel Camera From Sony? In an interview with Walt Mossberg, Sony CEO Howard Stringer said one of the company’s Japanese factories had been affected by the earthquake and subsequent tsunami that struck the country. According to 9to5Mac, Stringer went on to say this factory was meant to be making camera sensors for Apple. The interesting thing here though, is Sony don’t currently make parts for Apple. Speculation is now rife that Sony could be making an 8MP camera sensor for the iPhone 5, a rumor backed up by a report from TheStreet all the way back in April 2010. Then analyst Ashok Kumar said Sony had been signed by Apple to make the parts for the ‘2011 iPhone’. Did Sony’s CEO let something slip in his interview? Apple’s iPhone 4 currently sports a 5MP shooter, and it would make sense for the company to improve performance in the iPhone’s next iteration, if only to keep up with the slew of Android devices in the specification race.